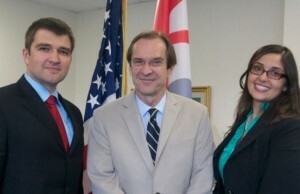 Federal employees at the Broadcasting Board of Governors (BBG) were told to identify U.S. stations but not to make offers of government-funded news to domestic media. 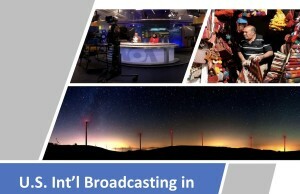 Broadcasting Board of Governors (BBG) internal document, July 2013. Can I identify U.S. stations that would be interested in taking our programming? Yes, you can identify U.S. stations. How can I contact the stations? U.S. stations should not be contacted solely to inform them of domestic programming. If you have a meeting on other issues, you can mention that VOA/OCB can now respond to requests for programs in the U.S. You can refer them to the Agency Domestic request regulations, VOA’s web pages or OCB’s web pages. Can I provide stations with a list of programs and summarize the content of programs? This information may only be provided directly to a station after the station makes a request. However, you may make information about programs you produce available to the general public through the Agency’s web pages. Can I provide stations with research that indicates the size of the audience in the target country? This information may only be provided directly to a station after the station makes a request. However, you may make information about the audience you reach available to the general public through the Agency’s web pages. 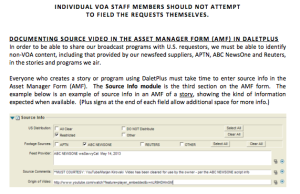 Can I discuss technical requirements for the station to access VOA programs legally? This information may only be provided after a station makes a request. Can I discuss joint projects- such as town hall meetings, panel discussions, etc. and advertising with a station? Yes, you may proactively approach stations on these matters if it has an effect on your international audience. If it does not, then these must be after a station makes a request. For more information read this article: Op-Ed: Federal employees identify U.S. stations for government-paid news. Link to Domestic Smith-Mundt Internal FAQ (BBG document – PDF).